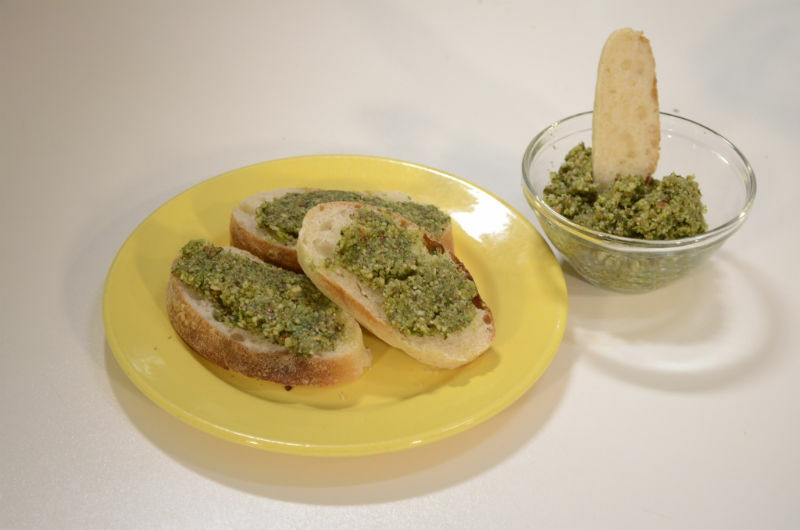 Enjoy homemade pesto in the depth of winter with this fragrant, mixed herb recipe. 1. 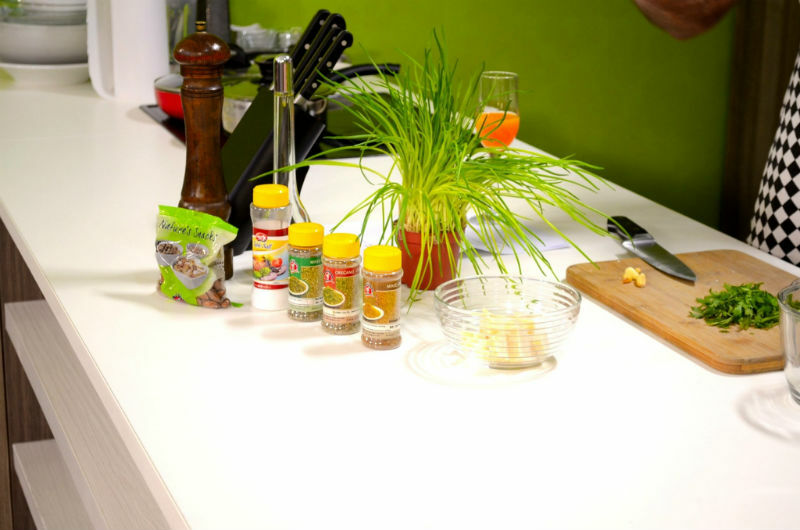 In a food processor, blend the chives, herbs, almonds and garlic, scraping down sides occasionally, until almost smooth. 2. 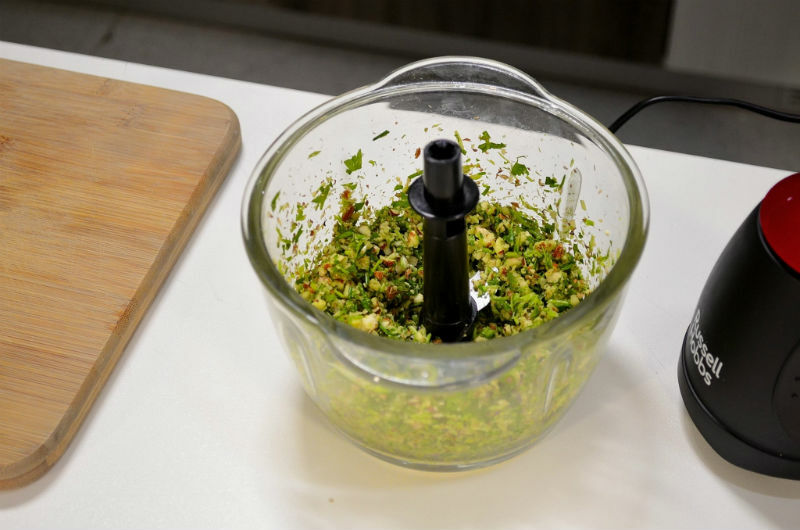 Keep the food processor running and add oil in a slow, steady stream. 3. Add the Parmesan Cheese and blend all together until well combined. 4. 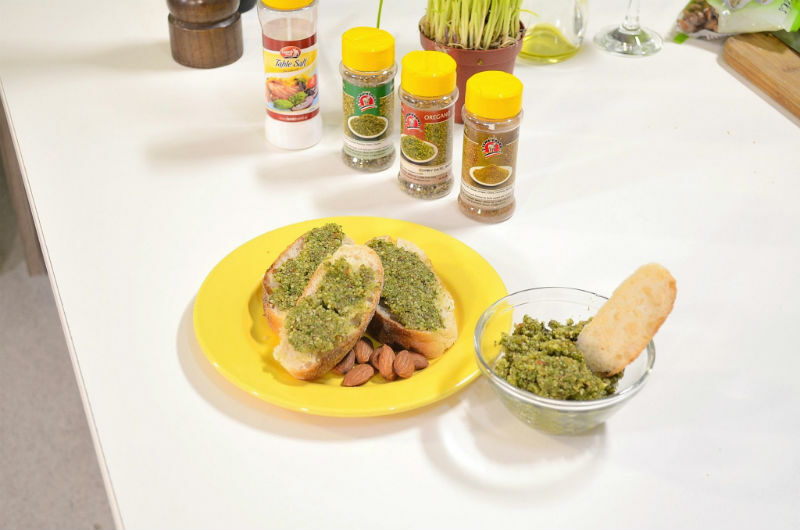 Transfer to a bowl and season with salt and pepper.